Posted March 12th, 2014 by David Porter & filed under General, Social. Being described as ‘obstinate’ is not necessarily regarded as a compliment. It is on a par with being stubborn, awkward, cussed or bloody-minded. These are people who are reluctant to listen to reason (as defined by somebody else). They are headstrong, willful, closed-minds sort of people. In business in person or or online, dealing with stubborn refusals can be extremely unhelpful and even, downright frustrating. According to Paul Hancox in an article called Dealing With Stubborn People And How to Persuade Them, there are three main reasons. The person, mainly older, who refuses to see that some new-fangled piece of technology (the web) is for him or her can actually believe it has no point in their lives so will be resisted. Hancox suggested easing the person into it, sharing little facts and articles to reassure on security, new possibilities, the wealth of data and its applications. A bit laboured, but a good point. Hancox said ‘to get them to consider and even accept your point of view, you’ll need to do it in such a way that they can retain their dignity, and still feel they were right in some way.’ Changing minds with dignity – sounds right. He thinks the key is to use people SIMILAR to the obstinate ones in weaning them off stubbornness. Then they will identify and it will be ok to change and adapt. He’s also got more on his website, 7 Secrets to Optimal Persuasion. Authorities like to tell you that resistance is futile. But surely there are times when it’s not only right to be obstinate but you can be heroic in being it? A resistance to tyranny and oppression, a refusal to toe an official line because it’s unjust or just plain stupid, should make the people brave enough to do it into objects of praise, admiration and inspiration. 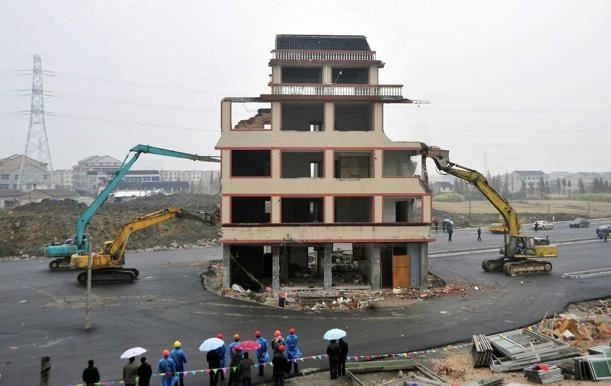 Take this example of what is called ‘Nail house obstinacy’ in China. 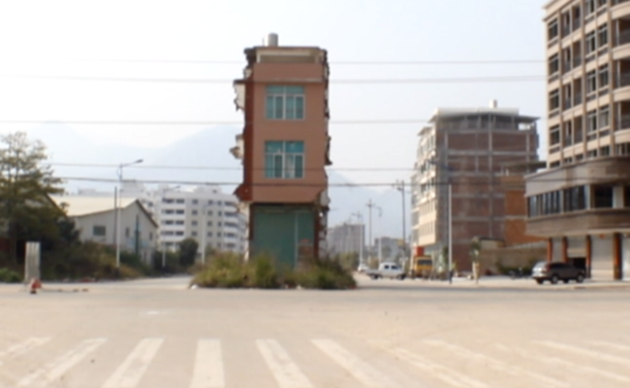 Officials offered all sorts to make the owner of the house pictured move out to make way for a new road … to no avail. 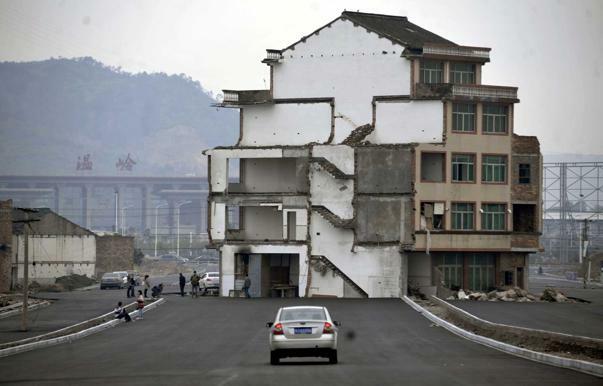 The resident inside a three-storey building in Zhangzhou City, Fujian Province, was determined to stay put when her local government planned a new road through her home. She wasn’t satisfied with the offered compensation so stayed put. 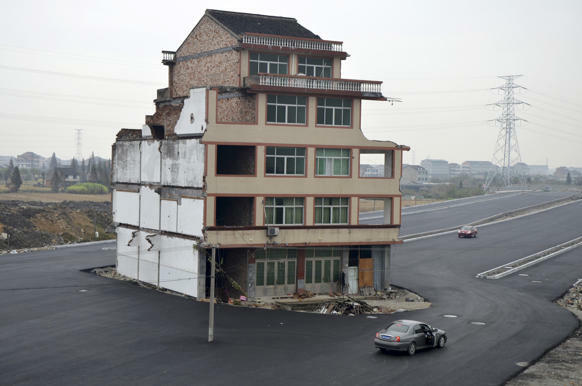 So they built the road around her isolated house which now stands awkward but proud as an island in the highway. There are other pictures of ‘nail houses’ left isolated through stubborn resistance online if you want an inspiration for your own stubborn rebellion..